The heat in San Diego broke this week (thank God!) and allowed me to turn my oven back on! 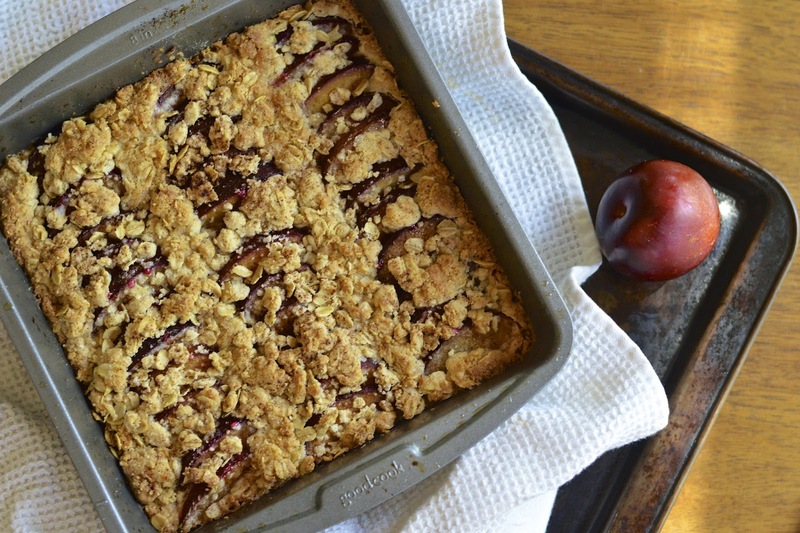 I’ve dabbled in gluten free desserts and I was craving something sweet; therefore, my oatmeal plum bar creation. They are amazingly buttery, fruity, crumbly and chewy. I had a few plums sitting in my fruit bowl that were just screaming for me to make some kind of confection out of them. So my test for gluten free desserts is to feed them to my children without letting them know they are gluten free. When Jake, my 17 year old, got home from school Friday I offered him this after school treat. He had no idea and gobbled it up pretty quickly. Success! This recipe is an adaptation from Bob’s Red Mill. 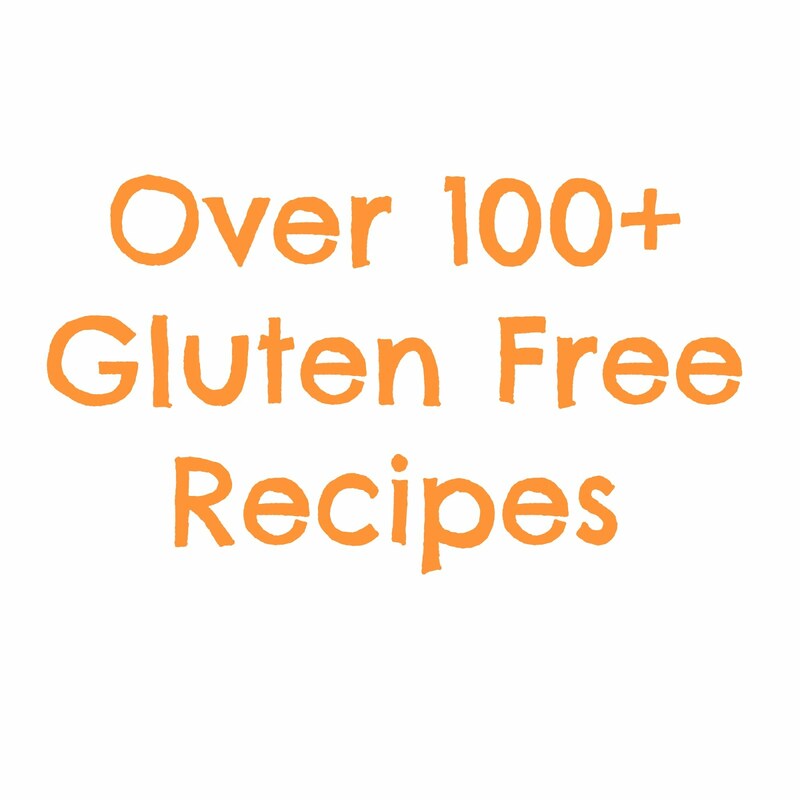 I bought their gluten free oat flour a few weeks ago and have really tried to push myself to experiment. A lovely recipe for raspberry crumble bars was on the back of the package. 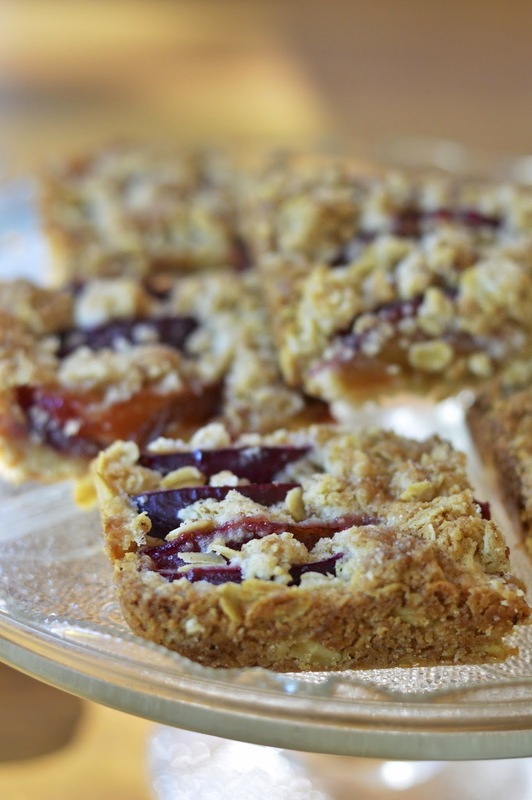 Instead of raspberry preserves I sliced my plums thinly and tossed them with sugar and gluten free flour – so easy. On a separate note – I am SO excited because this week is the premiere of Scandal! Do you all watch this show? I watched the first three seasons on Netflix this summer and literally finished the last episode on Friday. Basically, this show encompasses the best in entertainment – love, tragedy, violence, suspense, action, corruption, disgustingly evil characters and amazingly beautiful ones. The end of each episode is a cliffhanger, leaving you wanting more. Incredibly addicting! 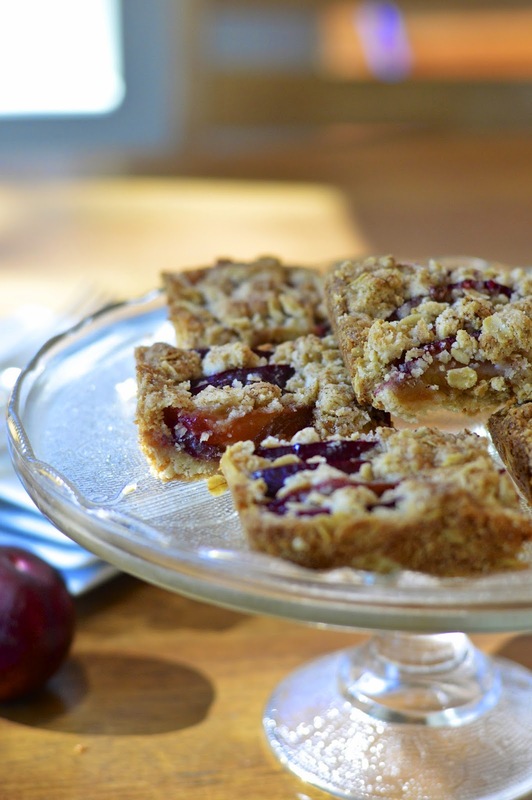 So maybe bake up a batch of these gluten free oatmeal plum bars for the premiere and settle into sweet scandalous bliss. I know that I will. Preheat oven to 375° F. Grease an 8x8 inch baking. 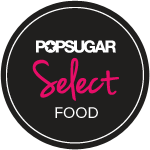 In a medium bowl mix melted butter, flours, oats, sugar, baking powder and salt until thoroughly blended. Press one cup of the oat mixture into the bottom of the pan. In a small bowl mix together plums, sugar and flour. Layer plums in,lines until the bottom crust is completely covered. 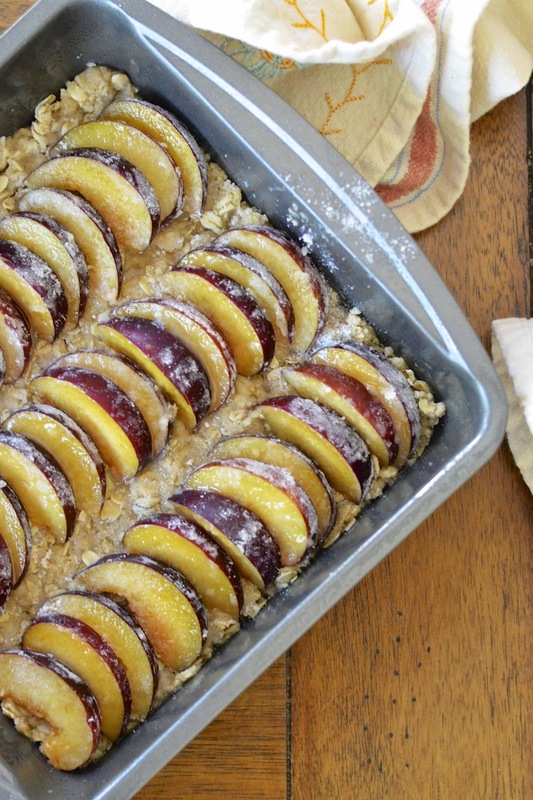 Sprinkle remaining oat mixture evenly over the plums. Bake 20 to 25 minutes or until top is lightly browned and firm. Cool in pan and cut into desired sized squares.